Party Bus 39 Pax is perfect for occasions where around 40 people are there and need party amenities with comfortable transportation. This vehicle can be used for concert, City Tour, wine tour, corporate party, sweet sixteen celebrations, tailgating party, wedding party, night out, night out, cruise ship port pick up/drop off services and more. In 39 Pax party bus, you can have enough room for dancing, lounging and partying, experiencing a high level of celebration in every occasion. Is it a group of 20 people or 39 or more than 40? No problem at all. 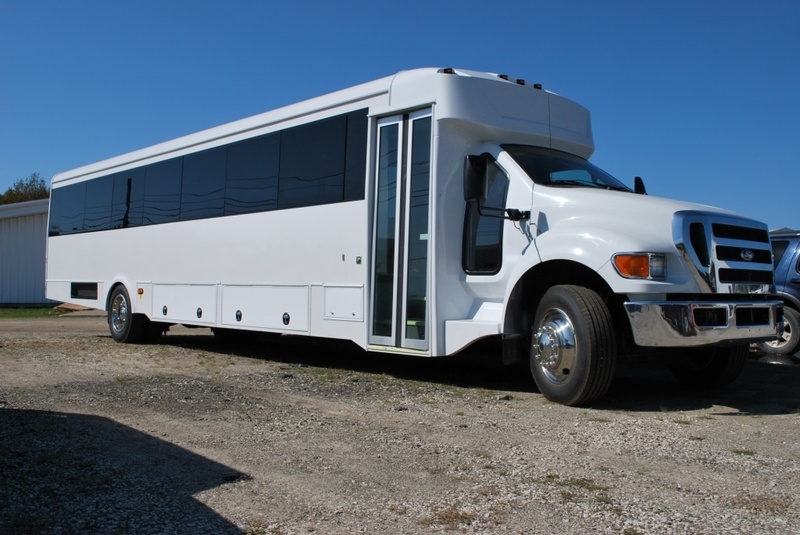 We have party buses in three different sizes as 26 seats, 39 seats and 42 seats and the good news is all of them has the same luxury accommodations. So book vehicles as per your requirement. To book a party bus 39 pax for your birthday or wedding party, contact us now! We will provide you non obligatory quote along with the details.